Figuring out the best time to send your emails to increase opens and clicks is a tough question to answer. So much depends on your customers and your industry. Some of the biggest names in email marketing have conducted massive case studies to answer exactly this question. Here’s some data we found. Most people check their email first thing when they get to work and last thing before they leave. That means open rates are often highest from 8 to 10 am and 3 to 4 pm. Similarly, click-through rates tend be to be highest from 8 to 9 am, 3 to 4 pm, and 8 to 9 pm as people check their emails again in the evening. The lunch hour is also a popular time for your subscribers to check their emails.If your subscribers live in many different time zones, you’ll definitely want to segment your list by location so you can send your email newsletter at the best local time. These case studies found that most emails are sent between midnight and 6 am so that subscribers see these messages first thing in the morning. While this has become a popular thing to do because it’s effective, the problem with this trend is that your emails can get lost in the clutter. Emails sent in the afternoon tend to have greater visibility, leading to more opens and clicks. Tuesdays and Thursdays tend to have the highest volume of sent emails. 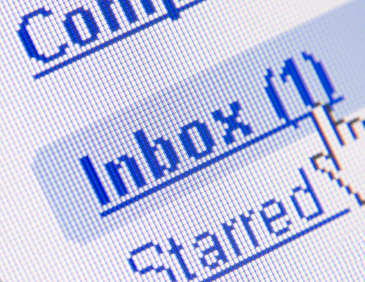 So sending your email newsletter on a different day can also help increase its visibility. Overall volume of sent emails is lowest over the weekend, making emails you send on Saturday and Sunday more visible--if your subscribers read their emails over the weekend. In some industries, weekend open rates tend to be higher than during the week, and with the rise of mobile devices, no one ever really leaves work or logs out of their email accounts anymore. It might be worth experimenting with weekend emails, especially if you sell consumer products or services, but you have to know your audience. People tend to respond to different kinds of messages better at different times of the day. First thing in the morning, most people are open to any type of content or promotion. In the afternoon, between about 3 and 7 pm, many people respond better to financial, property, or B2B messages. In the evening, B2C emails often get the best responses as people do their personal shopping before a promotion ends. These timing trends vary widely by industry and niche. There is no one best time to send emails for everyone, but you can discover the best time for your subscribers with constant testing. Send your emails on different days, at different times, and compare the results. Once you’ve collected enough data, the results will speak for themselves.